In April 1975, FMC received a production contract from the Netherlands with the first deliveries in 1977. The AIFV was designated as the YPR-765 in reference to the XM765 that started this line of development. The Y indicated Dutch production. The P was for pantser (armored) and the R was for rups (tracked). FMC delivered the basic vehicle, but Dutch companies made the final assembly, produced certain components, and completed any modifications. 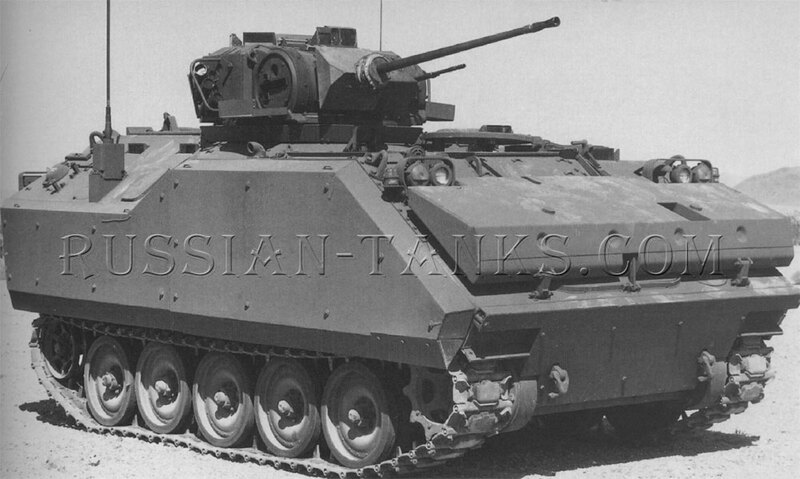 Although the AIFV was the prime vehicle, the chassis provided the basis for a family of vehicles. Initially, there were ten variants of the basic vehicle. 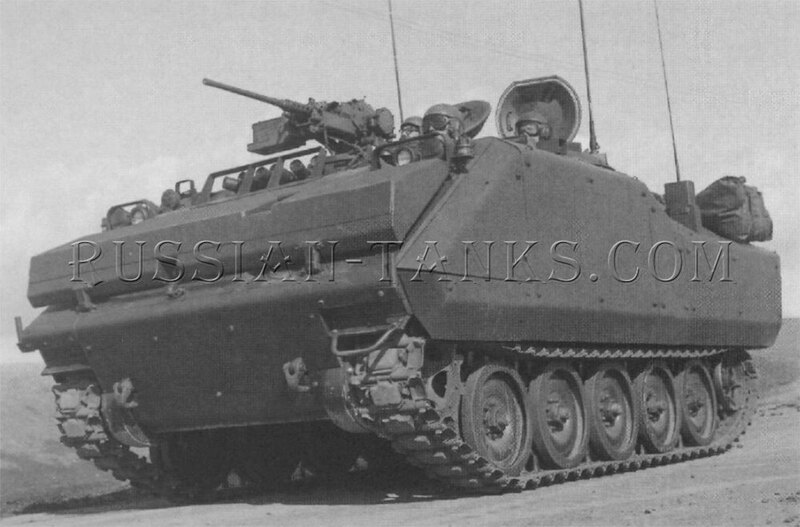 These were the AIFV or squad vehicle, the company command vehicle, the С1 battalion commander's vehicle, the C2 command vehicle for the battalion gunnery center, the C3 command vehicle for mortar fire control, the C4 command vehicle for antiaircraft artillery, the radar vehicle, the mortar vehicle, the cargo vehicle, and the ambulance vehicle. The squad vehicle and the company command vehicle both carried the EWS armed with the 25mm cannon and the coaxial 7.62mm machine gun. Both vehicles had a safety screen around the rotating weapon station. The squad vehicle carried the driver, commander, gunner, and a seven man infantry squad. The double bench type troop seats were in the center of the vehicle with stowage space underneath. The company command vehicle was fitted with a tip-up work table in the center between four individual seats. An additional seat was installed between the weapon station and the commander's seat. The CI battalion commander's vehicle was armed with a .50 caliber machine gun in an M26 cupola mount. An adapter ring was required to fit the 34 inch diameter cupola mount into the 40 inch diameter opening for the EWS. A fold-up work table was in the center with two side mounted troop seats on the right and a bench seat on the left. A single floor mounted troop seat was installed between the gunner's seat and the commander's station. Either the M20 or the M27 periscope could be mounted in the front port of the commander's hatch ring. The C2 battalion fire direction center command vehicle also was armed with the .50 caliber machine gun in the M26 cupola mount. As on the CI, the fold-up work table had two seats on the right and a bench type seat on the left. Also, either the M20 or the M27 periscope could be installed for the commander. The C3 mortar fire control company command vehicle also was adapted to carry the M26 cupola mount for the .50 caliber machine gun. A tip-up work table in the center had two seats on the left. The normal crew was the driver plus three men. The C4 antiaircraft artillery command vehicle had the tip-up work table in the center with a bench type troop seat on the left. A floor mounted troop seat was located between the gunner's seat and the commander's station. 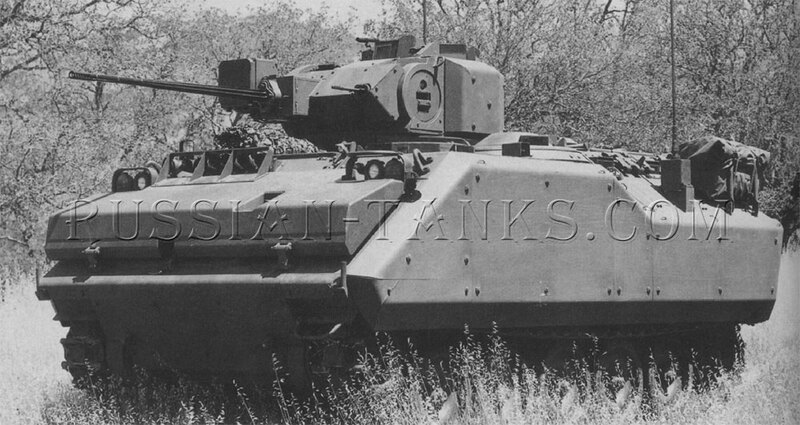 It also carried the M26 cupola mount. The normal crew consisted of the driver, commander, gunner, and four squad members (U.S. Army). The radar vehicle was intended to transport the radar unit including a radar mast assembly. The vehicle was armed with the .50 caliber machine gun in the M26 cupola mount. A tip-up work table was in the center with two troop seats on the left. An additional troop seat was installed between the gunner and the commander.